A Complete Resource To Let You Make Tasty, Easy and Healthy Recipes And Cook Meals Fast to Lose Weight and Increase Energy. No more boring foods and difficult recipes, just delicious simple ingredients and fat burning benefits. Inside I’ll show you how to cook easy and delicious fat loss friendly breakfasts, snacks, lunches and dinners in no time at all. 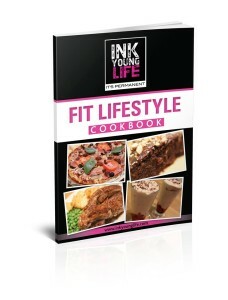 “Ink Young’s Fit Lifestyle Cookbook has revitalized breakfast and snacks for my active family. Including wholesome ingredients like whey protein, oats, almond milk, and stevia to family-friendly recipes has created a new menu in our house. 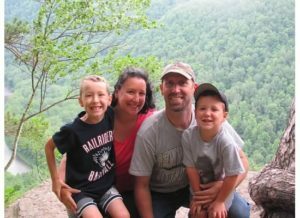 I start every day with the quick-blitz of a refreshing protein smoothie and my boys love the Blueberry Protein Muffins, Chewy Choc Protein Bars, and Raspberry Choc Protein Cupcakes as a power-packed snack before after-school sports. The mini omelets and egg muffin recipes are real time savers! Bake ‘em, freeze ‘em, and reheat ‘em for a nutritious on-the-go breakfast. Bake Ink’s Banan au Chocolat for your next Sunday brunch or picnic—your family will thank you! Ink Young has made healthy cooking for a family convenient, affordable, and delicious! Thank you, Ink! 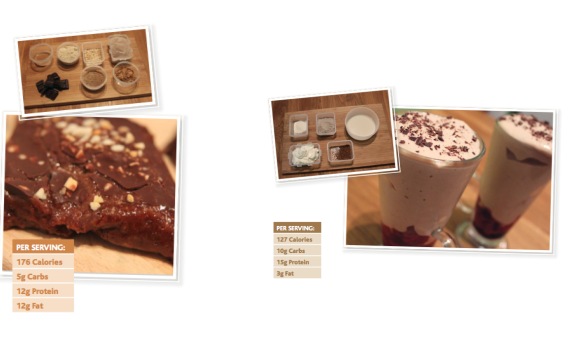 Here is a sneak peak to some of the recipes! make healthy eating delicious, so you will enjoy eating well and reach your goals in the process. take the guesswork out of selecting recipes, so you can go straight to making them and save time. use fat-burning foods, so you can get better results faster and lose more weight. reduce stress of what to eat and shorten the time cooking and food prep will take, so you can be more relaxed and enjoy more time away from the kitchen doing things you really enjoy. are a collection of recipes that work and are tested, so you can be certain that you will succeed! all include macros, so you know exactly how many grams of protein, carbs and fat each delicious meal/snack contains. 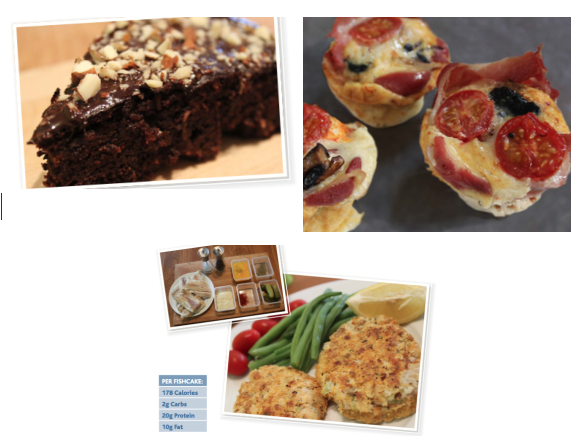 What You get In The Fit Lifestyle Cookbook? 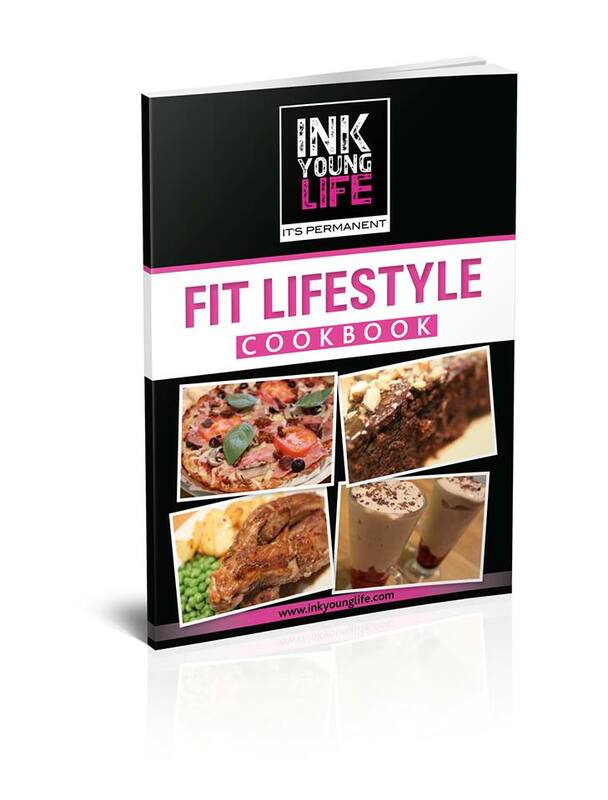 Now you have the opportunity to get the Fit Lifestyle Cookbook at the special investment of just $4.97! Hi! I am Ink Young, wife, mother, fitness professional and farmer. When my oldest son, Miska, was born was the time that I *really* started cooking and prepping food. I was kinda forced to start cooking and planning more because suddenly I was responsible for not only feeding myself and my husband but also a growing human being. Ha! Talk about responsibility upped. I also suddenly had a lot less time to spend on preparing meals. What a double whammy and not easy at all at first but as with everything, when I dove in and started practicing it got easier. And I mean a lot easier and over the last 10 years I have learned many things to make my life effortless in the realm of cooking, food prep and planning. I can say that I am on the autopilot on these days and it won’t take me long at all. And that’s why I created Fit Lifestyle Cookbook to share the same experience with you. This recipe collection took me years (10 years to be exact) to create and cost me hours of trial and error and dozens of notebooks. I had several clients test the recipes and then finally my sweet and patient editor to help to make the final recipe collection to come alive. Fit Lifestyle Cookbook makes healthy cooking and eating so much easier (and tasty too)! All materials are digital and access is sent to you instantly for downloadable PDF format. You can view your Fit Lifestyle Cookbook from any computer, tablet or phone. That means that you can start immediately! Just image what life will be like when you are saying bye to bland diet food and have all the tools you need to make tasty dishes with the time that you do have. So click on the button below right now, and you’ll be taken to a secure order form. After your payment, you will receive an email with a download links for all the materials. I want you to be totally comfortable with your purchase. This cookbook comes with a 30 day 100% Money Back Guarantee. This will give you time to try the recipes yourself and if you are not satisfied, I’ll refund your purchase price. Just email support at info@InkYoungLife.com within 30 days of your purchase. Upon purchase, you will receive an email from me asking you to opt-in to an email list. Click the link in the email to CONFIRM your email address so that your Fit Lifestyle Cookbook will be deliver to your inbox. After you confirm, you will receive an email. This email will contain directions on how to access and download your Fit Lifestyle Cookbook. It’s Super-Easy! If you have questions, feel free to email our team at info@InkYoungLife.com. No shipping costs allows you to save money! Upon purchase, you’ll receive an email to download your Fit Lifestyle Cookbook! Start learning and cooking today! NOTE: The Fit Lifestyle Cookbook is a downloadable ebook. No physical products will be shipped. After you order, you will be immediately taken to a page to download all the files directly to your computer. The ebook format is adobe acrobat PDF, which can be viewed on Mac or PC. No shipping saves you money & electronic delivery let’s you get started immediately! Legal Disclaimer: As it is required that all companies identify what a “typical” result is- the sad reality is that most people do nothing with materials or coaching that they invest in online. If you don’t commit to following and participating in the program, you can not expect to achieve results either. You can always choose different. I’ve done everything in my power to provide you with everything you need for healthy eating. View my full disclaimer HERE. Copyright © 2013-2017 Ink Young Life. All rights reserved.